Apparently it's the weekend. I have had no idea what day it has been this week to be honest. The bank holiday really managed to confuse me! And yesterday (Thursday) I spent all day thinking it was Friday. Anyway, whatever day it is I hope you have a lovely couple of days ahead of you. I shall stop waffling on about days of the week now and let you enjoy the extreme prettiness of this photo. This looks like the happiest place to live. 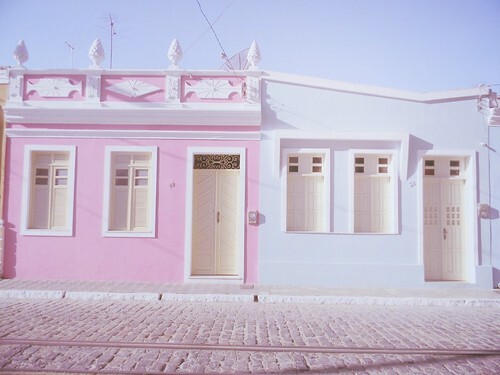 Love those pastel colours.